Save money and power while reducing CO2 emissions. The Intelligent Parking Lot Control is a smart power receptacle that can replace any existing parking stall power outlet. It measures temperature and wind chill and is factory programmed to automatically regulate the optimum power flow to ensure strong starts at any temperature. Its user friendly design tells if there's power at the plug, and if their block heater has a short or a break in the circuit. Each IPLC handles two circuits and is provided with factory programming. Each outlet can be individually programmed to suit specific needs. There are three models available, M210-15 (15 amp model), M210-20 (20 amp model) and M210TN (suited for GFCI installations), please refer to the manuals for more information. 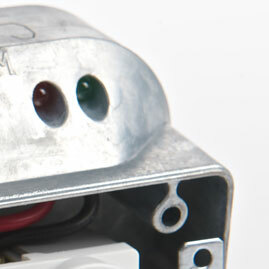 The IPLC M210 has two green LEDs, two red LEDs and an infrared optical data port for programming. The colored LEDs provide visual feedback to the user about the status of the unit and indicate the diagnostic status of their plugged in equipment. The IPLC M210 circuit board and microprocessor is embedded in a weatherproof elastomer compound that provides protection in extreme hot and cold temperatures. Additionally, the unit is encased in a robust cast metal case to provide long-lasting durability. Within the IPLC M210 unit is a microprocessor and temperature sensors which control the flow of electricity based on the programmed schedule. The IPLC M210 saves parking lot owners up to 65% while providing a user friendly and maintenance reduced solution. How does the IPLC M210 save power? 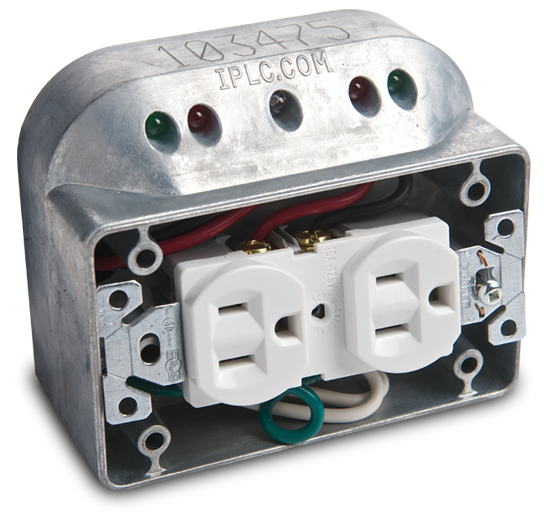 The IPLC control reduces the initial parking lot power demand with the use of a two hour power delay. This does not impact the starting of the vehicle because the engine is typically warm two hours after turn off. The two hour power delay will guarantee savings regardless of the outside temperature. The IPLC control constantly monitors weather conditions such as: temperature and wind chill and will only deliver power based on a factory set temperature schedule. This eliminates any excess power usage while ensuring all vehicles will start with ease. The IPLC control stops short circuits and tripped breakers making electrical service calls unnecessary. 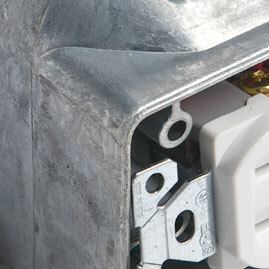 This will reduce the expense of maintenance or electrical staff required to reset tripped parking lot breakers. Certification The IPLC M210 is a CSA certified product in Canada and the United States of America. 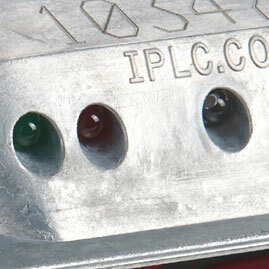 Full Details The IPLC has a 3 year warranty on materials and workmanship and is handled directly with the manufacturer. This warranty covers normal use of the product only and does not cover abuse, accidental damage or vandalism. However a $50.00 (CDN Funds) factory credit is available for any IPLC unit returned directly to the manufacturer regardless of purchase date, condition or circumstances of the returned unit. This credit can only be used towards the purchase of a replacement unit from the manufacturer at the current MSRP. All software updates are free for the life of the product and require an IPLC Data-Mate. The IPLC unit can be installed in minutes without any special wiring. The IPLC has flexiable programming capabilities for all applications. The IPLC can reduce energy costs up to 65%. The IPLC has unique diagnostic feed back lights. The IPLC Brochure. Download the PDF to get the complete information on the IPLC and what it can do for you. The IPLC Brochure (FRENCH). Download the PDF to get the complete information on the IPLC and what it can do for you. PDF of the IPLC installation and commissioning document, includes wiring diagrams and factory default program parameters. PDF of the IPLC installation and commissioning document (FRENCH), includes wiring diagrams and factory default program parameters. PDF of the IPLC M210TN installation and commissioning document, includes wiring diagrams and factory default program parameters. PDF of the IPLC M210TN installation and commissioning document (FRENCH), includes wiring diagrams and factory default program parameters. PDF of the IPLC M210SN installation and commissioning document, includes wiring diagrams and factory default program parameters. PDF of the IPLC installation and commissioning document, includes wiring diagrams and factory default program parameters. This version is for our t-slot plug version of the IPLC. PDF of the IPLC installation and commissioning document(FRENCH), includes wiring diagrams and factory default program parameters. This version is for our t-slot plug version of the IPLC. PDF of the IPLC M210 GFCI Wiring Options, GFCI is NOT included in the M210 but it can be added with these options. This PDF also includes the testing procedure for the M210 with GFCI installations. What do the lights on the IPLC unit mean? What types of electrical loads can be used with the IPLC? Does the IPLC limit the flow of current?